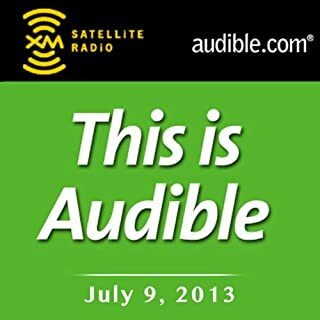 Fellow Audible-philes, please demand the reinstatement of this outstanding program!!! Amazon shall not mess this up!!! Messers Ward and Burns have done it again: a thought-provoking perspective on a key part of American history. Ken Burns delivers a superb performance telling the story, with Tom Hanks, Josh Lucas and Rebecca Holtz voicing some of the key characters portrayed in the book/series. 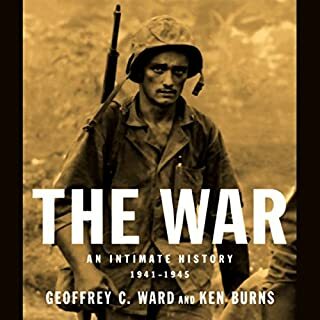 A must-listen for history buffs and anyone who wants to know what real people experienced as a result of decisions made by the generals and civilian leaders. 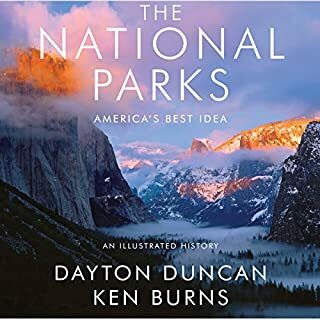 Being the grandson of a park ranger, I greatly appreciated this long overdue in-depth examination of how the NPS and its various parks and monuments came into being. 1) The cover states "Read by the authors with a supporting cast". While Mr. Burns does read the preface and Mr. Duncan does read the afterword, the "supporting cast" does most of the reading, especially Danny Campbell. He definitely should be listed in the narrated by section, along with Ms. Farr, Mr. Ervin, Mr. Mayer, Mr. Peterson, and Ms. Raver. 2) In the book, we hear about George Melendez Wright's unsuccessful effort to turn Big Bend into an international park with Mexico, yet there is no mention of the successful effort that Rotarians in the U.S. and Canada made for creating the very first international park, uniting Canada's Waterton Lakes with Glacier. Given the amount of time Mr. Duncan has spent in Glacier, maybe this was an unintentional oversight, thinking it was always so? 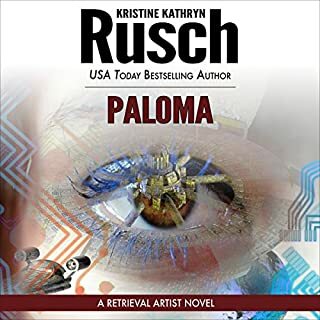 Ms. Rusch, while a good writer, seems to be running out of steam here with this 5th installment of the series. Too many contrived and complicated plot twists. Jay Snyder's outstanding performance can't salvage this one. Forensic anthropologist Aisha Costard has been summoned to Mars to examine skeletal remains recently discovered beneath a building erected by the Disty aliens. The bones belong to a human woman who vanished 30 years ago with her children. Ms. Rusch's 4th effort, and as with book 3, we finally get to see some of what Flint's new career is all about. The plot works better than any of the previous 3, definitely the best in the series. Jay Snyder once again delivers an out-of-this-world performance. Officer Noelle DeRicci is investigating a murder in Armstrong, the domed colony on the Moon. 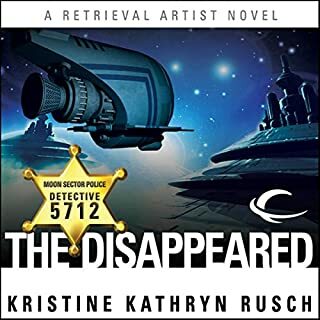 The victim was one of the Disappeared - outlaws in hiding who are wanted for crimes against alien civilizations - whose family had her brought home, believing she was no longer in danger. 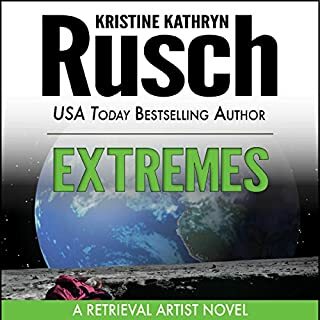 Ms. Rusch's 3rd book in this series, and there are so many things going on, it's hard to figure out what happened and why, and not much explanation for the opening 6 or so chapters. The rest of the book plays much better, and wraps up with an awesome ending. Jay Snyder's performance brings a 3-star book up to a 4. 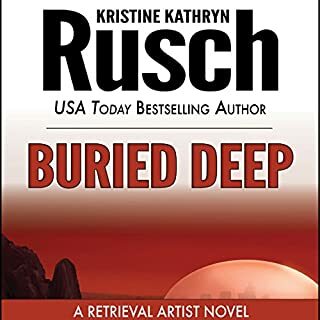 Ms. Rusch delivered a good second book in this series, focusing on the characters and the detective work, even by the ex-detective Flint. Some of the plot twists seem contrived, but not annoying. Another stellar performance by Jay Snyder, as well. 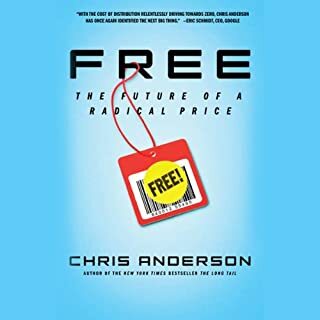 I got an invite to try this book, and so I did. 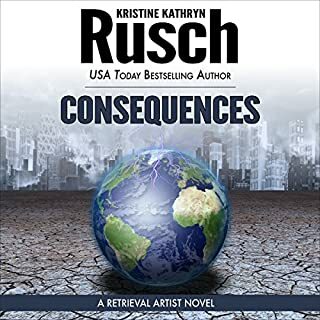 It will take a couple of listens to understand the framework Ms. Rusch is setting up here, but the premise is intriguing. What if something like this ever comes to pass if and when we ever do meet intelligent life from other worlds? Jay Snyder's performance is outstanding as well. What groove are we in? This question is what listeners may ask themselves when they hear this audiobook. Mr. Fusilli has packed a lot of great information in, and while the back-and-forth organizational structure may work very well for fiction, it is a drawback to this work of non-fiction. A temporal structure would have worked better here, to lay out what came before, and then the track by track analysis, without all the back and forth shifting on the timeline. Mr. Bevine delivered a good performance. 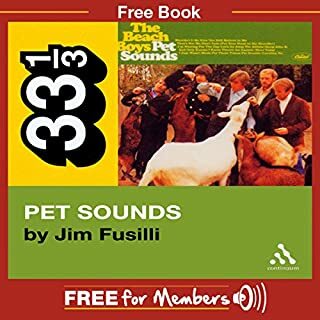 Recommended for music lovers, especially fans of Brian Wilson & The Beach Boys.